When life has no meaning.... Jean Paul Sartre said “Life has no meaning the moment you lose the illusion of being eternal.” Even if these ancient Chinese warriors could have lived for ever, would they have really wanted to repeat life's cycles of dread and despair till the end of time? Probably not. But, in the midst of your existential misery, it is nice to know a cheerful truth. Finding the meaning of life has nothing to do with your happiness. You are a living entity with unique talents, which finds happiness in achieving simple goals. Discover the neural mechanisms, which drive you to despair, when you fail to find meaning. Learn that your happiness lies within your reach. When life has no meaning, you have reached a low point, where you naturally wonder about the purpose of human struggle. In the relentless flow of history, civilizations rise and fall and even the solar system heads for ultimate destruction. How can there ever be a significant meaning to your puny life? Countering this overwhelming sense of despair, the religions of the world believe in a benevolent purpose to life. They suggest that all human suffering meets a grand purpose. But, skeptics doubt the existence of a benevolent purpose. In any case, massive human suffering seems hardly a prerequisite to achieve a noble ending to this mysterious saga of life. While doubting the existence of a benevolent purpose, the skeptic also burns with uncertainty about his life and career. There are no assurances that his fervent efforts will not end in some dreadful disaster. So, your nervous system overwhelms you with existential despair. But, that emotion is a neural process, which is not your choice. The famous psychiatrist Frankl lived through the horrors of Nazi concentration camps to realize that, even in the most hopeless of situations, people only needed a simple purpose to survive. Your nervous system demands a purpose for your life. The nobler the purpose, the greater the feeling of satisfaction. Only the deeply religious believe in a noble purpose and flow with life. But, ordinary people may not find significant meaning to their lives. They do not become prime ministers or film stars. Bagging grocery is not exactly meaningful. When the drive to find real meaning is not met, the frustrated system responds with the negative emotions of dissatisfaction and despair. Kill the irrational dissatisfaction emotion. There is no crying need to find meaning in everything you do. 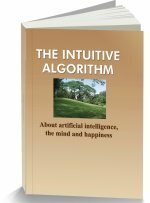 The mind control tips in this website suggest simple methods of stilling negative emotions. Find your areas of excellence and enjoy the simple things of life. Happy survival is a glorious purpose in life. It is but natural to have concerns about the meaning of your life. Why do we struggle through the years to achieve such transitory victories? Four thousand years ago, engineers had burned midnight oil, drawing designs for the ancient city of Mohenjo-daro. Their plans represented remarkable technology for their age. But history reported that all their hard earned knowledge was lost for thousands of years to the generations that followed. All they did leave behind were a few telltale gutters in the desert. Across millenniums, much of human exertion has been so blatantly wasted. Civilizations decayed. Empires crumbled. And, as Keynes said, we are all dead, in the long run. Earth itself will probably burn up in the heat of a collapsing sun. Against this dismal backdrop, how can your life hold a meaningful objective? Countering such existential despair, religion offers a compelling vision of a divine and benevolent purpose. Your life fulfills that purpose. All things in life happen for the best. That omnipotent intention acts in the best of all possible worlds, for the well-being of all. If you suffer pain and distress, the beneficent deity has ordained it to steel humanity to ever greater triumphs. Genuine faith in a divine purpose aligns the believer with the creative flow of life. But, there are others, who question the need for such immense suffering to meet a benevolent purpose. So many calamities are hardly necessary for the betterment of humanity. Actually, the finest periods of creativity for the human race occurred during periods of peace and prosperity, not in times of famine and disease, or earthquakes and floods. It stretches their credibility to believe that a hundred thousand people could be crushed in an earthquake for the benefit of humanity. The events in their life appear more often to have cruel and random qualities. They despair over their inability to see any useful purpose, making them believe that life has no meaning. Even your career offers no certainties. Since you pass this way but once, it is but reasonable for you to seek to leave your mark behind. You also feel entitled, by birth, to a good life. But, your career path can be burdened by recurrent failures and frustrations. In spite of repeated setbacks, you have not withdrawn from the battle, or given up your hopes and aspirations. You remain willing to try. But, fate is both impartial and whimsical. At the close of your life, you may have achieved more in life than you have ever dreamed possible. Or, things could go outrageously wrong. In the end, you may look back on many successes and even a few regrets. And, you cannot ever predict the outcome of your story. With such massive uncertainty, if gross misfortune pursues you, can you still find happiness? Your misery, or happiness is not your choice. Your nervous system chooses your emotion, even before you know it. Science has proved it. The famous experiments of Benjamin Libet showed that, even in the simple act of voluntarily pressing a button, your motor systems begin to act 350 milliseconds before you think you have pressed it. It decides earlier to press that button. It works faster than you. Within the instant your eyes perceive a group of black and white pixels on this page, your mind interprets them as a set of characters forming a word, gathers its meaning and moves on to the next word. Within a few moments, myriad entities evaluate vast memories, compare your experiences, recall childhood images, and pass judgment on the validity of this paragraph. You merely know the final conclusion. With the same inconsiderate speed, without consulting you, your nervous system decides, wrongly, to envelop you in the despairing conviction that life has no meaning. The famed psychiatrist, Frankl, suggested that, even when the world appeared abysmally evil, a purpose was absolutely needed for survival. Having encountered the horrors of the Nazi concentration camps, he lived to narrate the dreaded moment, when a fellow prisoner ceased to struggle for life. Usually, the prisoner refused to go out on to the parade grounds. “He just lay there, hardly moving. No entreaties, no blows, no threats had any effect. He simply gave up. There he remained, lying in his own excreta, and nothing bothered him any more.” His system had stopped being driven by a purpose. Such people died soon thereafter. A purpose is needed by the system for survival itself. A purpose enabled survival. Frankl submitted that, despite the capricious torture and beatings, thousands of inmates still did struggle against all odds to eke out a life. They had a purpose in life, whatever it was, which helped them to survive. The machine needs a purpose. But, these need not be large purposes - like having a notable impact on the cosmos. A hope of meeting a son after the war was a purpose. Even a decision to harden oneself against suffering was a sufficient purpose. After the war, Frankl established a major field in psychiatry, assisting thousands of suicidal patients around the world to recover by discovering an acceptable purpose in life. Your nervous system has evolved over millions of years. It is a multifaceted intelligence, which evaluates millions of facts to formulate its objectives as feelings and emotions, which drive the system. The pangs of hunger drive you to find food. So also, the curiosity emotion impels humanity to seek solutions to the riddles of life. While curiosity has yielded impressive scientific discoveries, it also seeks to know the objectives of the actions you take. Each action should achieve an objective. You pick up a cup of tea, or become an accountant. The system usually delivers a feeling of satisfaction as a reward for meeting a goal. In this milieu, higher objectives grant greater satisfaction. A shop assistant feels more satisfaction, when she believes she is meeting a customer need, than when she thinks she is just bagging grocery. Greater satisfaction comes from the fulfillment of a nobler purpose. Religions believe that life has a grand and benign purpose. That faith grants the religious a meaningful and calming sense of living a noble life. But, the grand purpose of the cosmos remains obscure to the skeptic. For him, the curiosity drive triggers dissatisfaction over a million unsolved mysteries. Querulous curiosity creates an existential despair, which intensifies an ongoing dissatisfaction with the petty successes of his pointless life. Not every person can hope to win at the Olympics, charm millions on the screen, or set the fiscal policies of a nation. Both in ordinary life and at the cosmic level, dissatisfaction pursues the skeptic. Despair and dissatisfaction are only manipulative emotions, generated by irrational neural perceptions. You can easily still such emotions. Just acknowledge the stupidity of the idea that your happiness depends on a knowledge of the cosmic purpose. Such information is no more needed to satisfy your natural curiosity than the waters of Niagara to satisfy your thirst. Your thirst can do with just a glass of water. Just as a reasonable repast is sufficient to satisfy your craving for food, it is also sufficient to be content with achievement of lesser goals. Self awareness is the key. Recognizing your irrational despair emotion can still it. You will then no longer agonize over the absurdity of your life. If misfortune surrounds you and life appears meaningless, negative emotions can dominate you. Peace of mind and joy in your work are not available off the shelf. After all, you are merely a troubled spectator, watching the habitual thought patterns of your neural processor. Its inherited circuits apply animal instincts and accrued experience to cope with your life. Mere words cannot convey to it the contentment of a tranquil mind, or the joy of exciting work. The machine has to visualize and desire those goals. 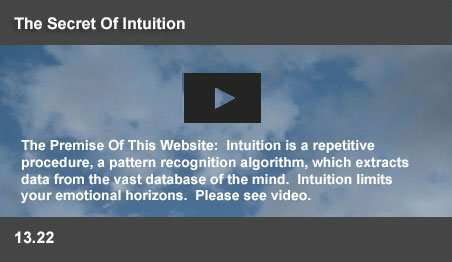 The Mind Control Tips in this website suggest ways of accepting life as it comes and stilling negative emotions. A few mechanical routines can enable the complex machine to grasp its goals and accept its limitations. Those steps can effectively tune out the noisome turmoil. When equilibrium comes, RI, your common sense, will take control. You will reach a stage, where a quiet peace surrounds you. All this can be done, without discovering the meaning of your life. In The Conquest of Happiness, Bertrand Russell suggested that happiness may be hard to find in the face of overwhelming calamity. But, that is not quite true. There are many stories of people who have cheerfully marched through the most disastrous situations. Your happiness really does not depend on your circumstances. Whatever is the final story of your life, your epitaph can still be "I did my best and lived a happy life." Happy survival in a harsh environment is a worthy goal. Even as self awareness brings you a modicum of peace, your mind constantly needs a rewarding purpose. Professor Wolfram Schultz discovered that reward oriented behavior is promoted by the release of a group of neurotransmitters by neurons in the early reptilian (approach or withdraw) part of the human brain. When these neurons detect signals of the possibility of a reward within a specific time frame, they release dopamine in the forebrain. Increased dopamine intensifies forebrain activity, bringing clarity to objectives, making the mind feel more energetic and elated. Heightened prefrontal activity also inhibits the amygdala, a major emotions center. You need reduced amygdala activity to stop worrying about the meaning of your life. But, it is not the reward, but the expectation of a reward, which releases dopamine. Schultz noted that the release increases, if the reward is greater than what is expected. It continues only for the predicted time period, when a reward can be expected. The release reduces at the end of this period. The releases stop if the rewards have become a matter of routine. Moment by moment, your system needs to look forward to a reward to feel focused and energetic. With nothing to look forward to, you will go back to worrying about meaning. Add simple rewarding objectives to your life. Mindfulness exercises can help you find joy in the mundane routines in your life. Find rewards in your work. Each individual has a special ability. Find the things, which you can do effortlessly, which others find difficult. That will be your area of excellence. You also have the capacity to improve any job that you are currently engaged in. When this becomes your focus, any improvement in your performance will become rewarding, filling you with vitality. You will find that even if your life has no meaning, and misfortune surrounds you, focusing on such things will bring you happiness.